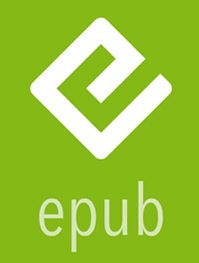 EPUB is the most widely used and supported file extension in the world. It was invented by the (IDPF) International Digital and Publishing Forum. EPUB is also an open standard file format; this means that it is freely accessible at no cost and is used as a qualitative reference for making digital files. EPUB files can be created using some software. However, the most popular software that is widely used in making EPUB files are the Adobe InDesign CS and Apple pages. The latest version of the EPUB file extension is EPUB 3.0.1. The other subsequent versions of the file extension in descending order include; EPUB 3.0, EPUB 3, and EPUB 2.0.1. Since its invention, the EPUB file extension has seen an improvement in its features to enhance readers’ experiences both online and offline. We will majorly focus on the latest features since they are part and parcel of the very first functions that came with the introduction of the EPUB file extension. Reflowable content layout: Content is considered to have a reflowable layout if its layout changes in accordance with the device in which it is imported to. This is what makes the EPUB file extension widely supported by various devices. With EPUB, the published content can be resized to fit the screen on which it is displayed may it be a large, medium, or small size screen. Due to the reflowable nature of EPUB files, it can support the channel distribution of content to the largest number of audiences possible. Interactive media: There has been a tremendous growth in the use of interactive media in digital publishing to enhance the understanding of the materials presented to readers. Such interactive media include: audio, videos, and even animations. With EPUP files, eBook designers and publishing services providers can encrypt such media into text files enabling readers to have a widened scope of the concepts presented in plain texts through interactive media. Supports highlighting of passages and making of notes: With EPUB files, readers can make highlights on passages of their choices for later referencing. Another feature that has been directly borrowed from the paper form books by the EPUB is making of short notes within the pages of an eBook. Supports bookmarking of pages: Since there might be so many files to read which must definitely take quite some time to complete, EPUB files enable readers to bookmark their next starting points once they are done with their reading sessions. Supports Digital Rights Management: Digital Rights Managements protects writers’ contents from lovers of content piracy thereby preventing illegal distribution of published materials. With EPUB, authors create content once and freely distribute it both online and offline. EPUB is easy to manipulate since it has its storage and content architectures completely separated. EPUB is very portable since it can be used as both an input and output source file for other files in different types of file formats. Being one of the best publishing services providers currently in the market, we provide quality and affordable publishing services. Our team of customer care is already awaiting your request for free samples. Contact us today.